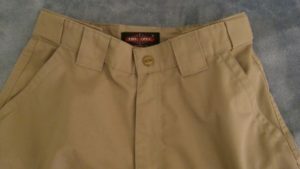 What are the best EMT cargo pants? I own and wear 5 different brand EMT cargo pants and I think the Tru-Spec 24/7 tactical pants are the best EMT cargo pants. I bought them over a year ago and wear them every weekend. I have washed them many times and they still look brand new. I bought them for around $45.00. So why are the Tru-Spec 24/7 EMT cargo pants the best? Fit – slim fit. They fit me like a glove without being restrictive or too tight. Fasteners – heavy duty metal fasteners…fly zipper and snap waist fastener. I prefer a metal snap to a button. Workmanship – double stitching and flawless fabrication. Appearance – look professional and sharp. Function – plenty of well designed cargo pockets along with some blind pockets. 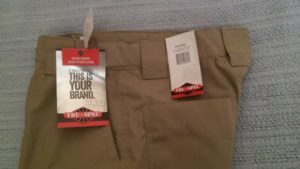 Here are the Tru-Spec 24/7 EMT cargo pants right out of the shipping bag. I love these pants! They feel great and are cool in the summer. You just can’t beat these at any price.